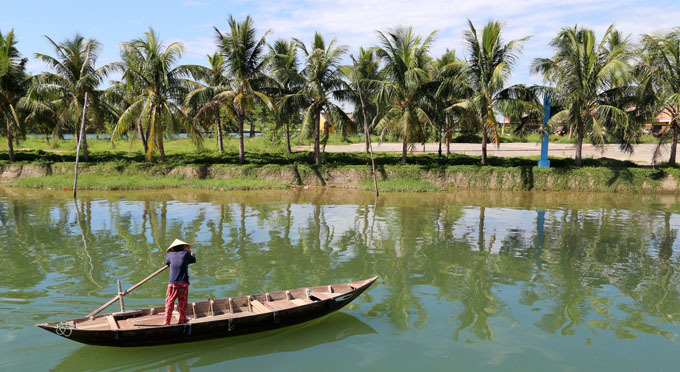 Being one of the marvelous destinations of Vietnam, Hoi An is characterized by well preserved ancient houses, refined gastronomy and a captivating nature. The tender beauty of this city, which is part of the UNESCO World Heritage Site, takes tourists from one surprise to another. Yet, Hoi An still hides unique beauty in the surrounding villages. In order to meet the needs of travelers for a complete discovery of Hoi An, Asiatica Travel offers an original tour in the heart of Cam Thanh village. Indeed, it is an exceptional opportunity to admire the country landscapes while discovering the life of the inhabitants, on foot or by bicycle. 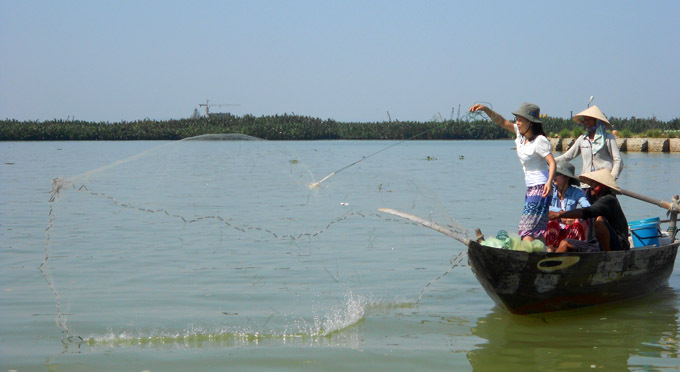 Located 3km from the city of Hoi An, Cam Thanh is a village of water and mangrove palms. 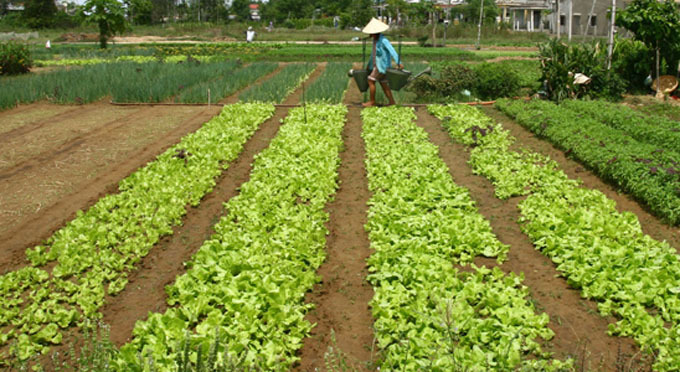 Cam Thanh has become a new destination for all those who love human being interaction and natural discovery thanks to its beautiful landscapes and its very endearing people. 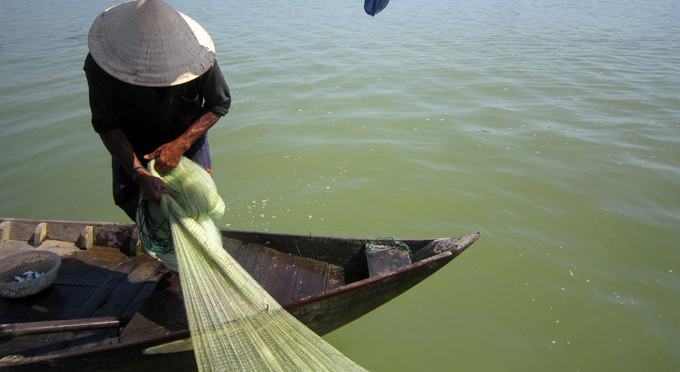 In particular, you will also have the opportunity to learn how to row and throw nets like a real Vietnamese fisherman. Promise of an exciting excursion! In the morning you will cycle through the streets of the Hoi An old town to admire the beautifully preserved Japanese, Chinese and Vietnamese wooden houses dating back hundreds of years. 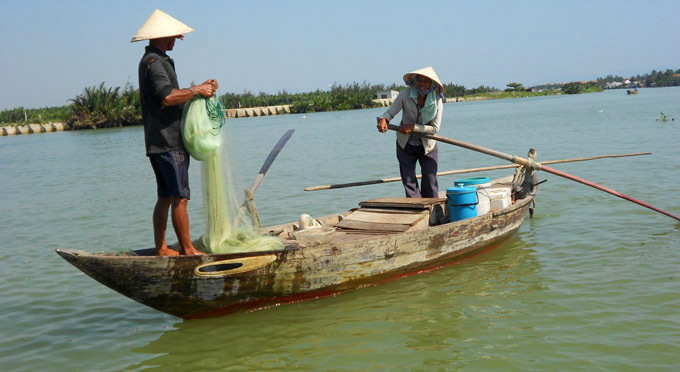 You will embark a boat at the port of Hoi An which was known as port of Southeast Asia in the 15th century. On the other side of the river is the village of Kim Bong, known for carpentry. You will visit several carpentry workshops to explore the art of very famous wood carving. You continue your bike tour to the village of Hai Dong to visit a family who practices the craft of basket boats. Stop at Cam Kim to visit a family that makes rice noodles, a main ingredient of the famous dish "Mỳ Quảng" (Quang noodles). Taking along the river you will arrive at Duy Vinh Matting Village, where you will find a lively atmosphere: the mats are dried by the roadside, the flow of trucks carrying the mats rushes down the road. Pass by Bang Thach, you will arrive at Duy Hai. Here you will have the opportunity to discover the life of a local port. 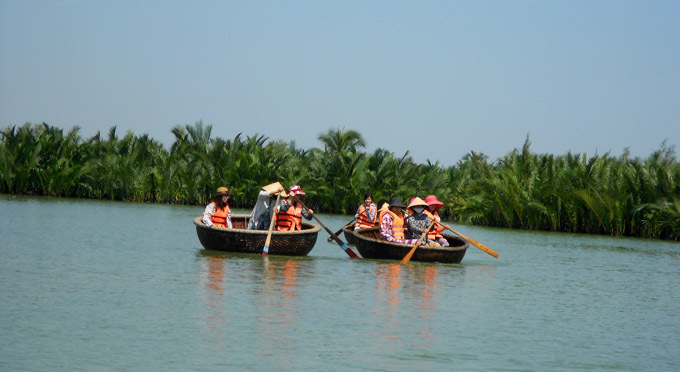 You will then embark on a boat to Cam Thanh village. 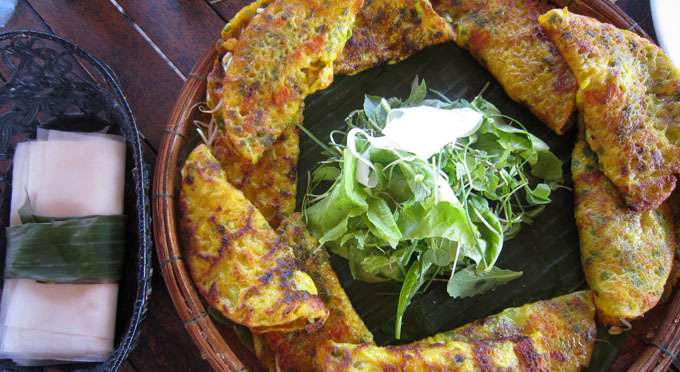 You will have lunch with local dishes on the boat under the shade of coconut trees. 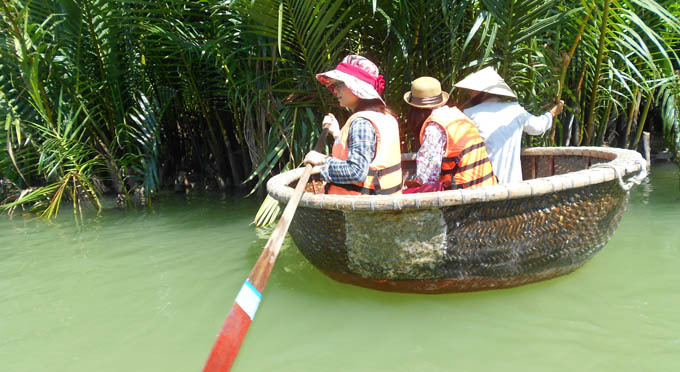 After lunch, you will embark on a wooden basket to experience fishing techniques and learn how to row, catch crabs and throw nets like a real fisherman. And if you are lucky, after removing this net, you will reap some fish. 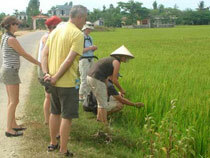 A quiet day in the countryside in Hoi An will be a memorable experience for all travelers. Depart early in the morning. You will take a bike tour through the streets of Hoi An old town to admire the beautifully preserved Japanese, Chinese and Vietnamese wooden houses dating back hundreds of years. 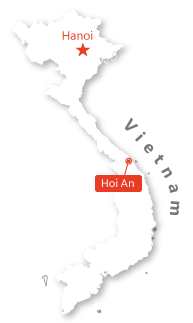 You will embark a boat at the port of Hoi An which was known as port of Southeast Asia in the 15th century. On the other side of the river is the village of Kim Bong, known for carpentry. You will visit several carpentry workshops to explore the art of very famous wood carving. You continue your bike tour to the village of Hai Dong to visit a family who practices the craft of basket boats. Stop at Cam Kim to visit a family that makes rice noodles, a main ingredient of the famous dish "Mỳ Quảng" (Quang noodles). 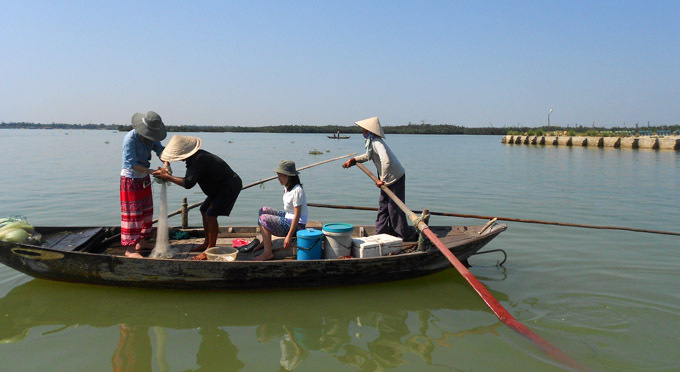 Taking along the river you will arrive at the Duy Vinh Matting Village. You will find a lively atmosphere: the mats are dried by the roadside, the flow of trucks carrying the mats rushes down the road. You will cross the river. Return to Hoian for lunch.